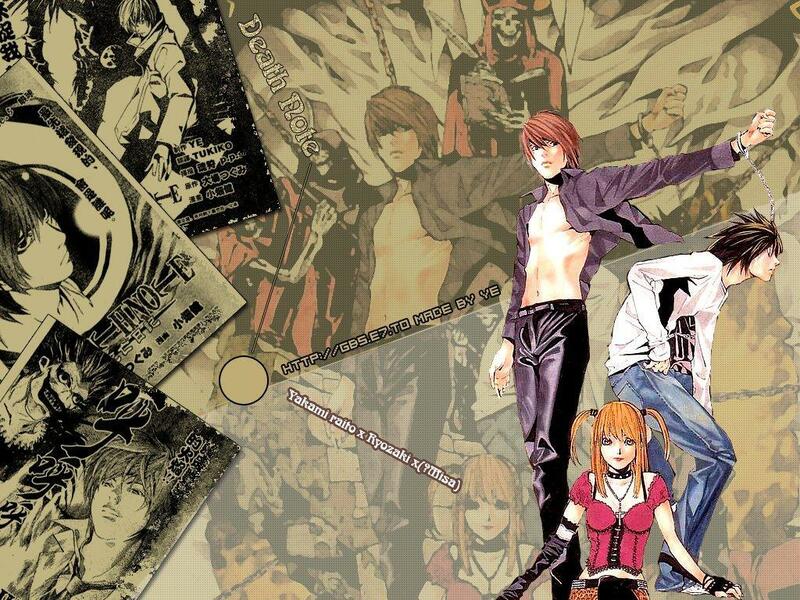 Death Note. . HD Wallpaper and background images in the 데스노트 club tagged: death note anime series l light yagami misa character. This 데스노트 wallpaper might contain 애니메이션, 만화, and 만화책.